This massive iron wall clock is 49" in diameter and is finished in off-white with an antique nickel outer ring. The center of the dial is distressed and dented for an aged appearance. 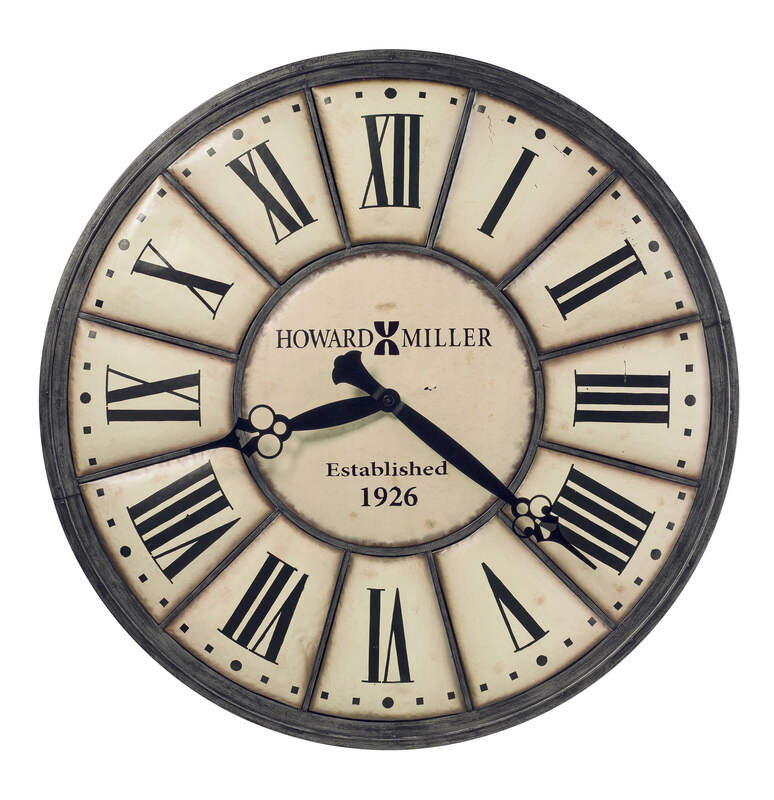 Black Roman numerals are centered on individual antique off-white panels which are distressed and dented for an aged appearance. 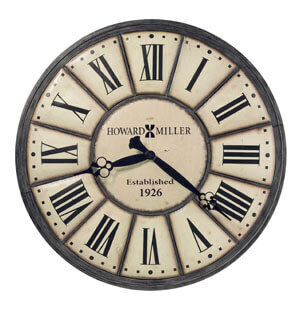 You will save $304.50 (30 %) on this Howard Miller Company Time 625-601.